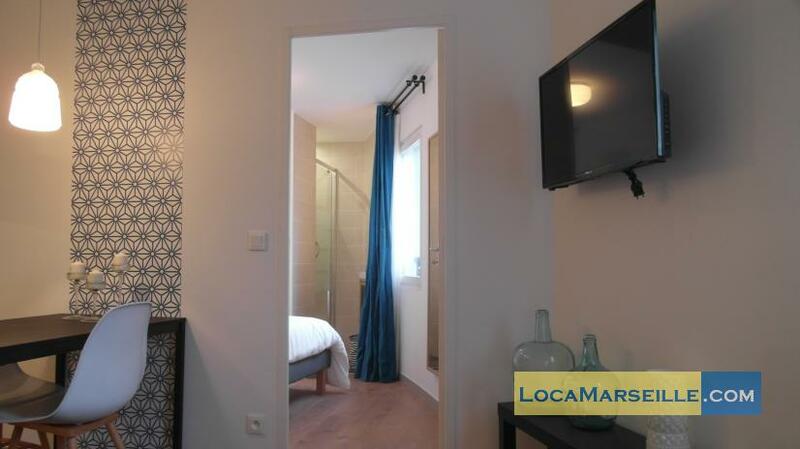 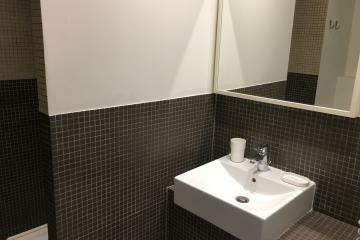 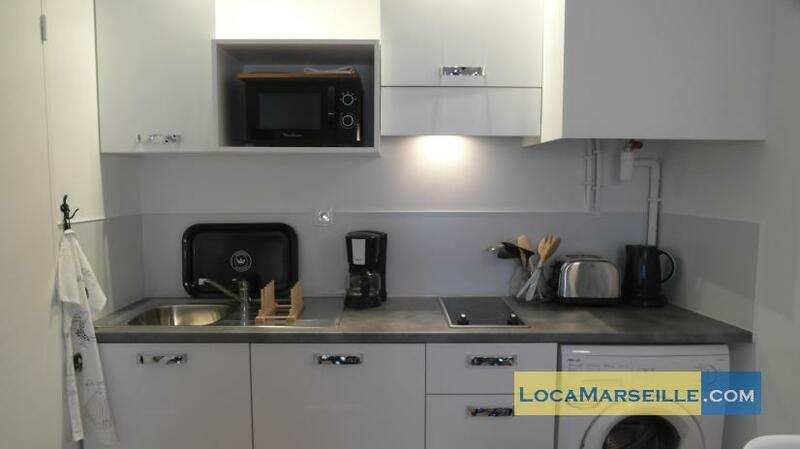 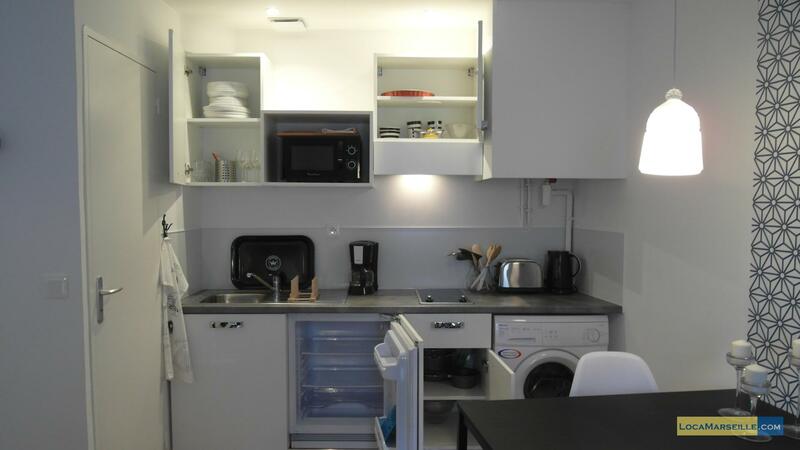 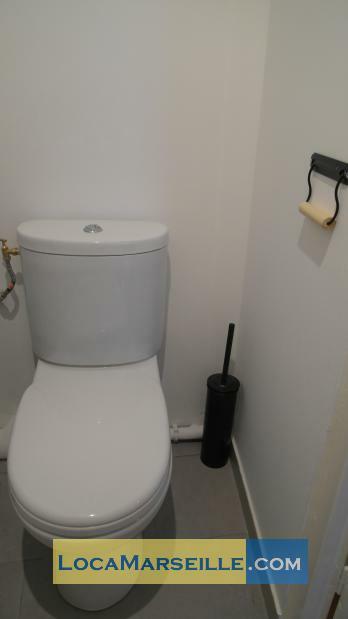 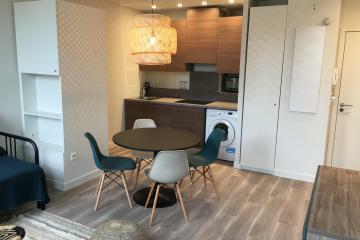 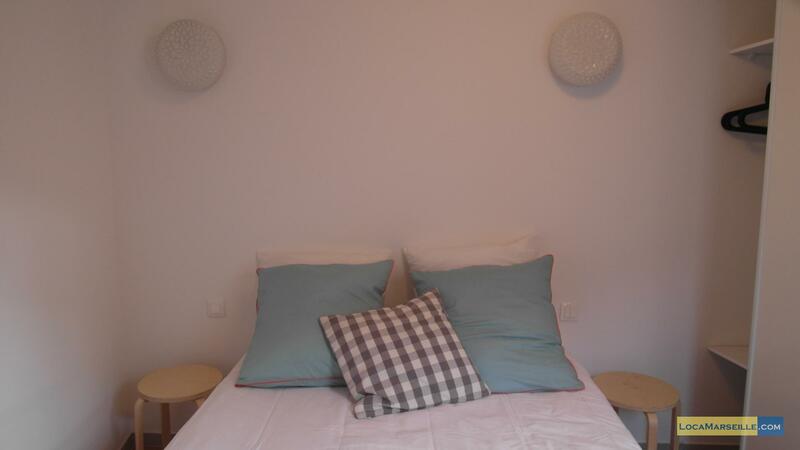 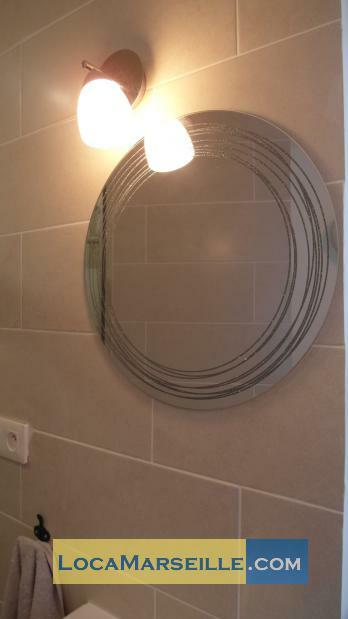 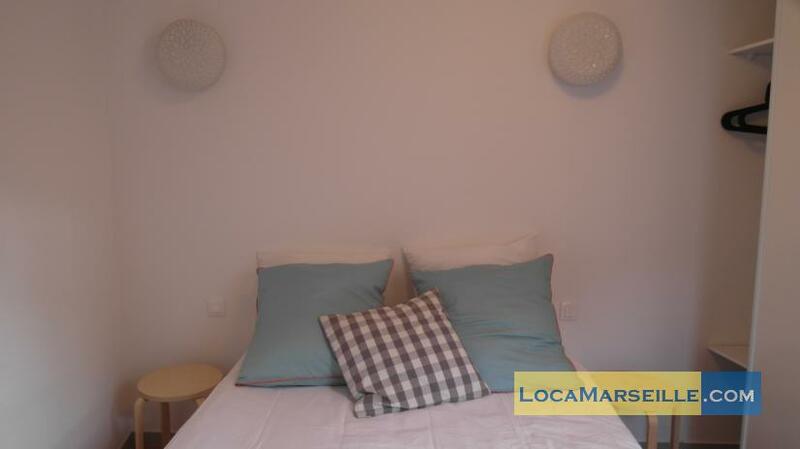 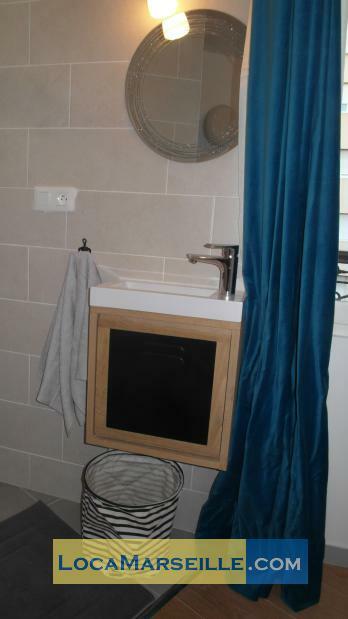 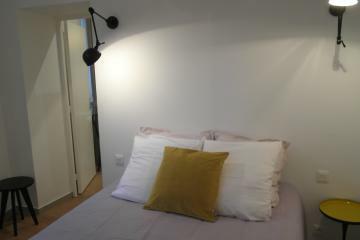 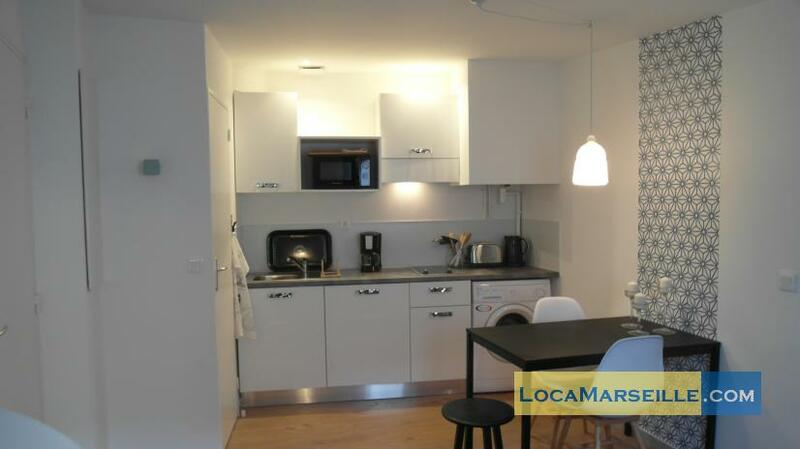 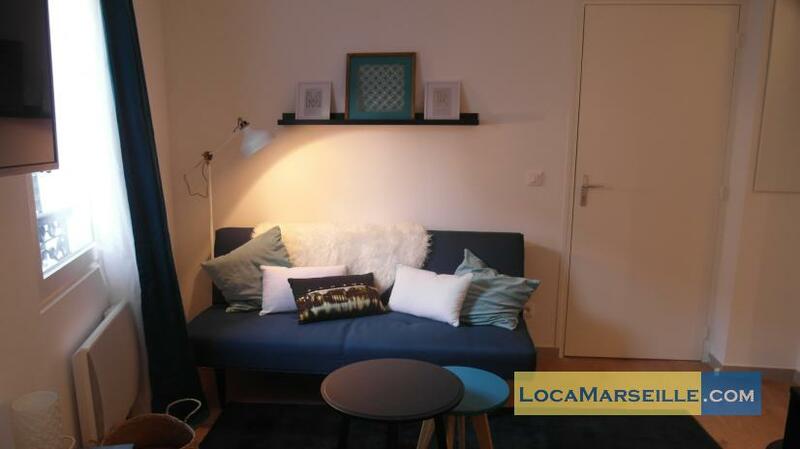 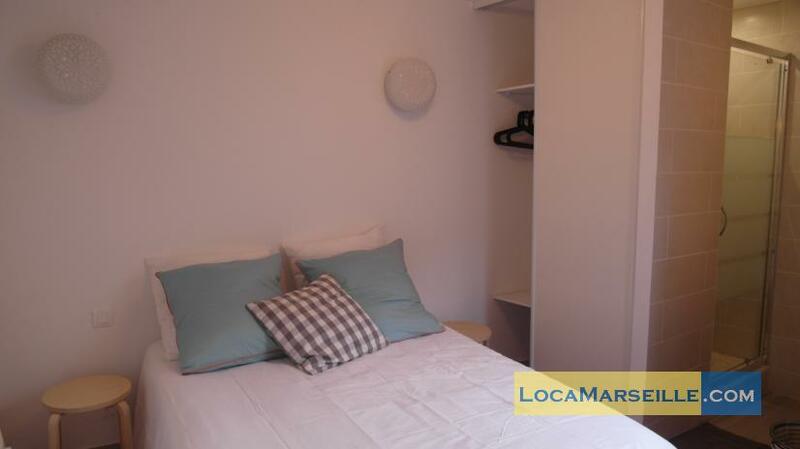 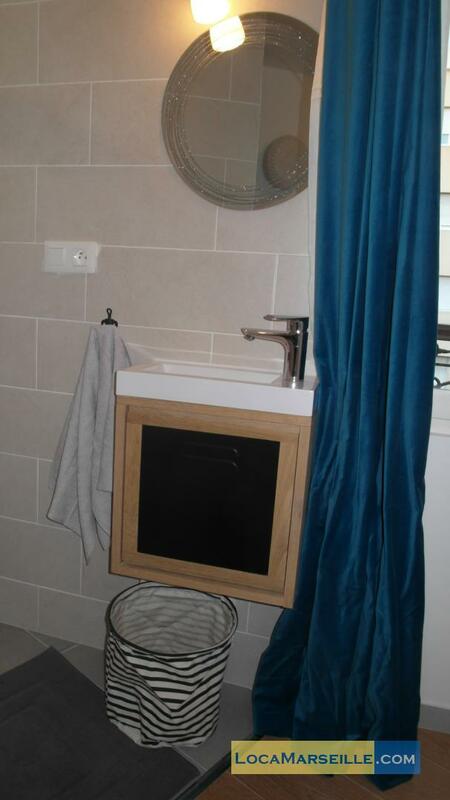 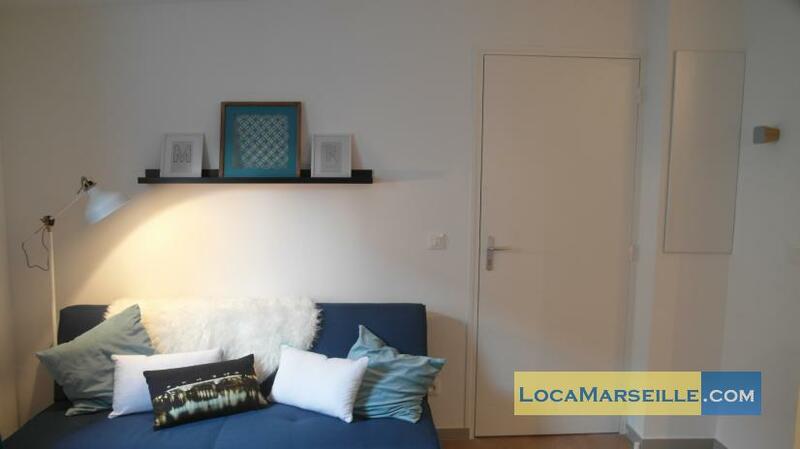 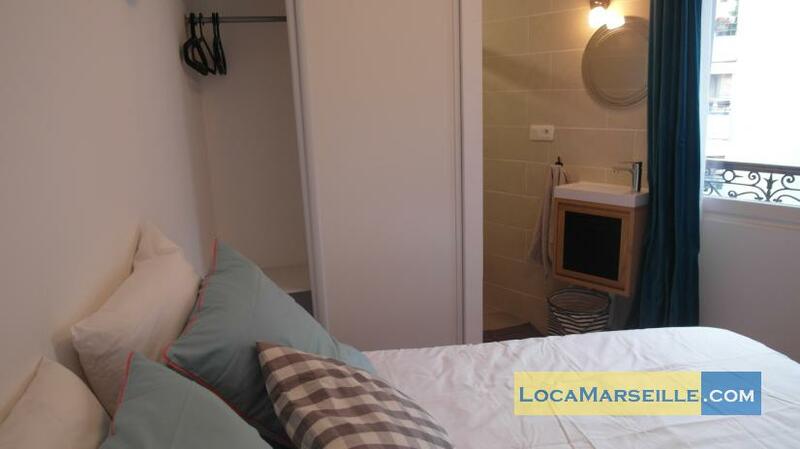 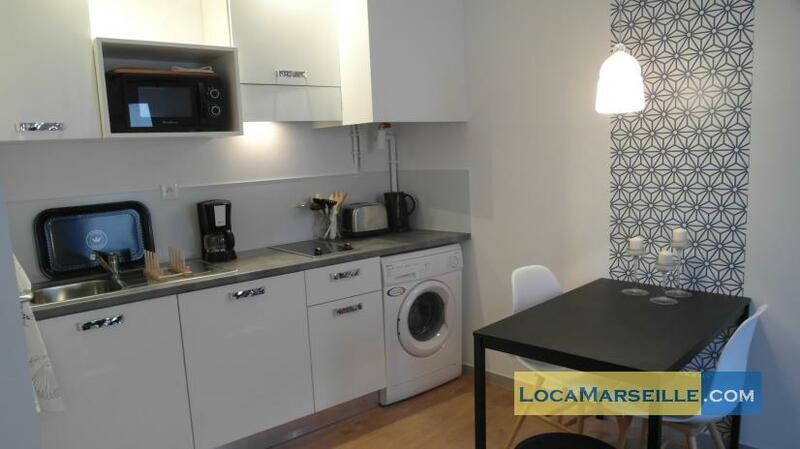 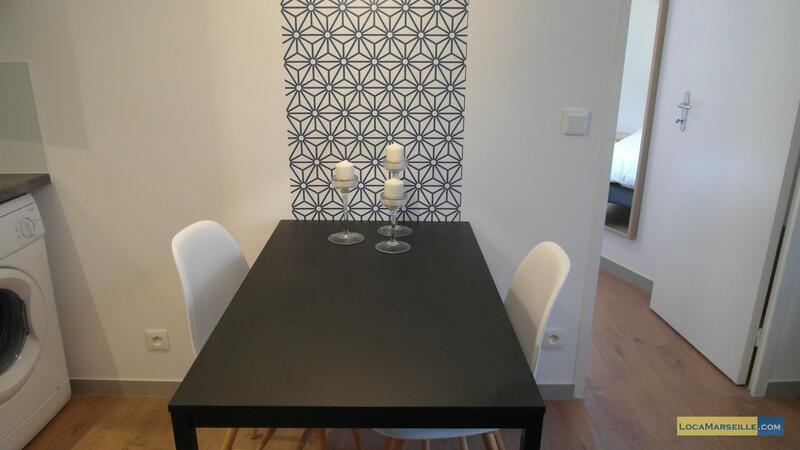 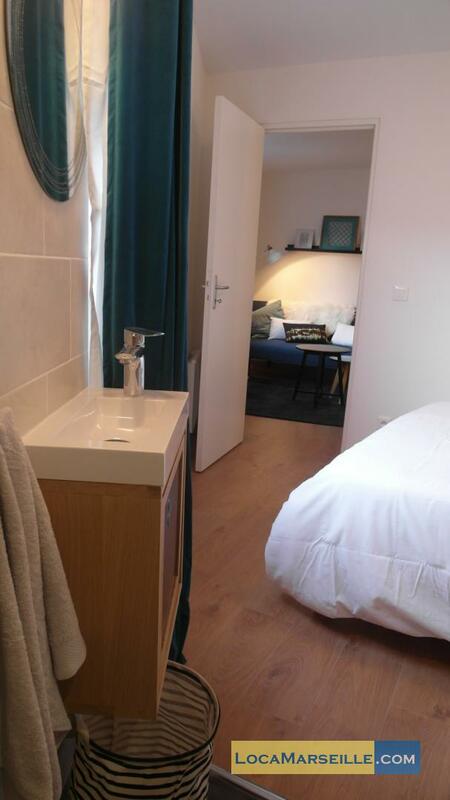 Very contemporary decoration for this T2 furnished rental in Marseille Baille- Lodi area near Castellane at the heart of the 6th district. 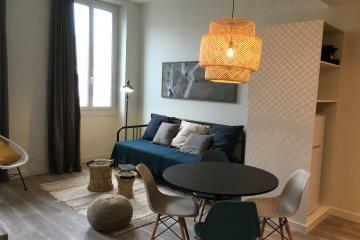 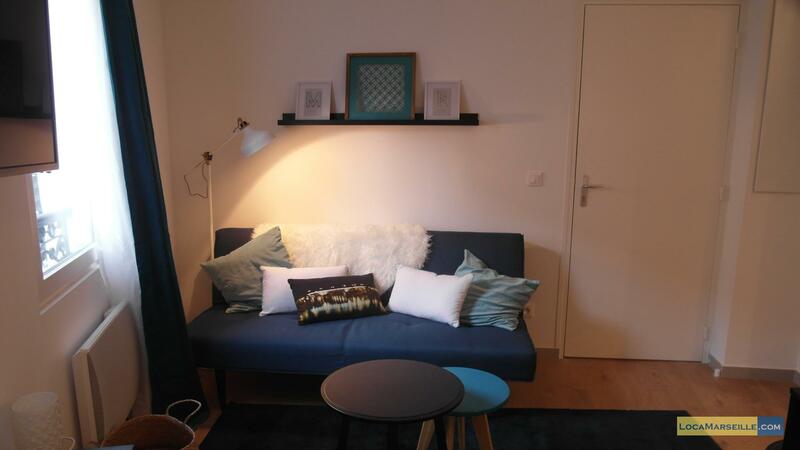 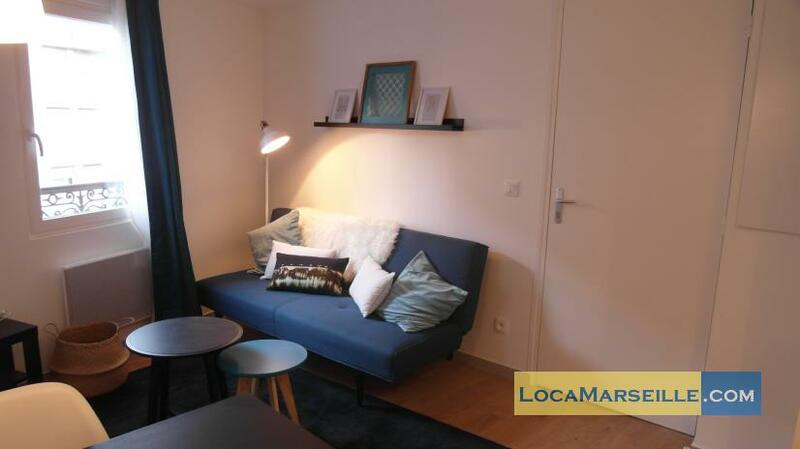 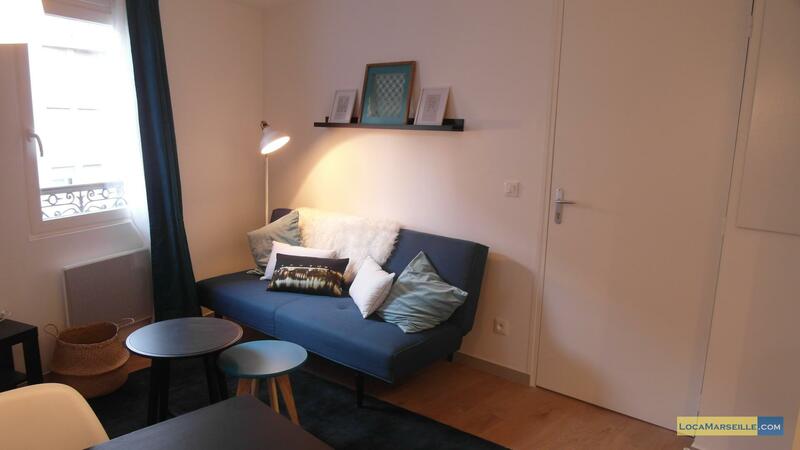 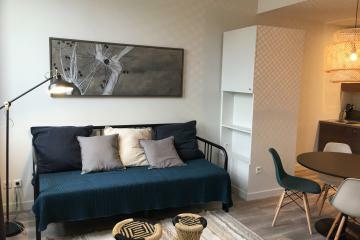 This apartment is fully equipped: wifi, flat screen TV, washing machine, micro ondes..Le room, in shades of blue and gray has an extra convertible sofa, a coffee table, a dining area and an open kitchen. 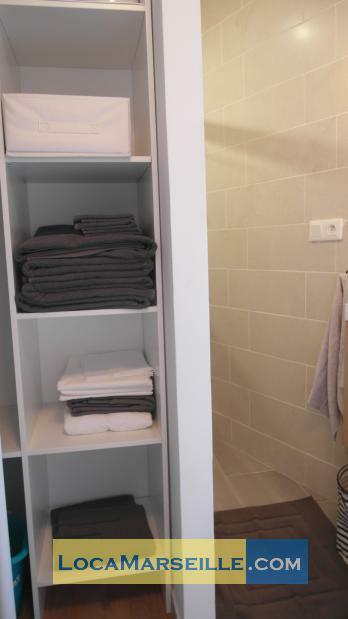 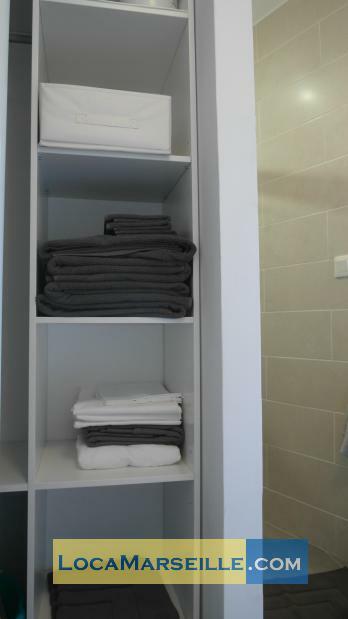 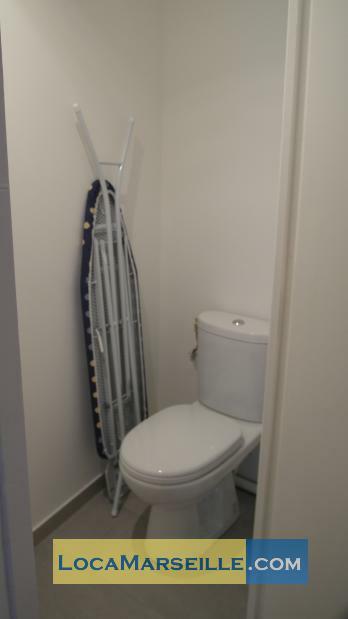 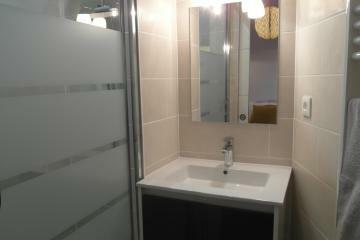 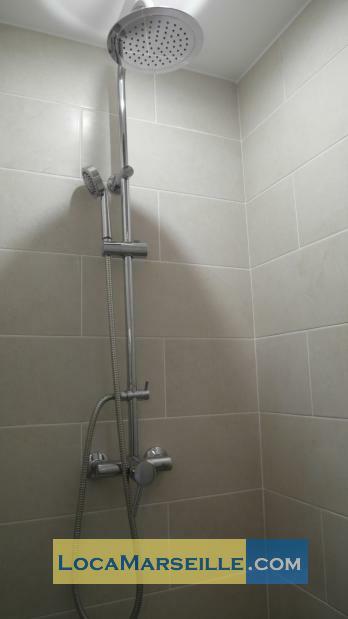 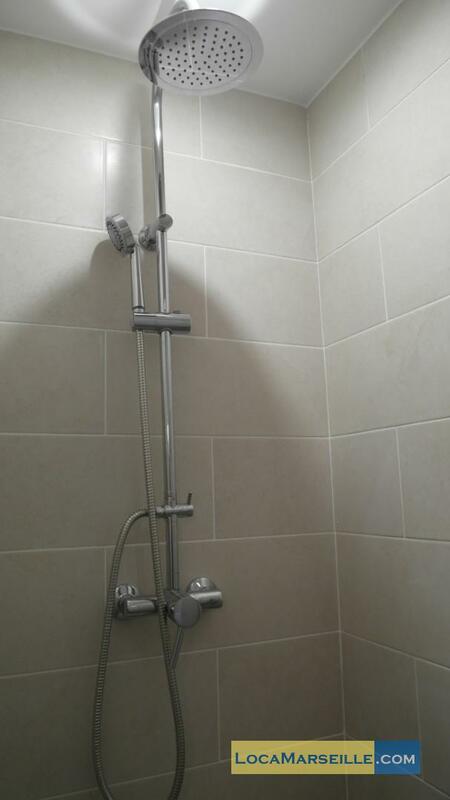 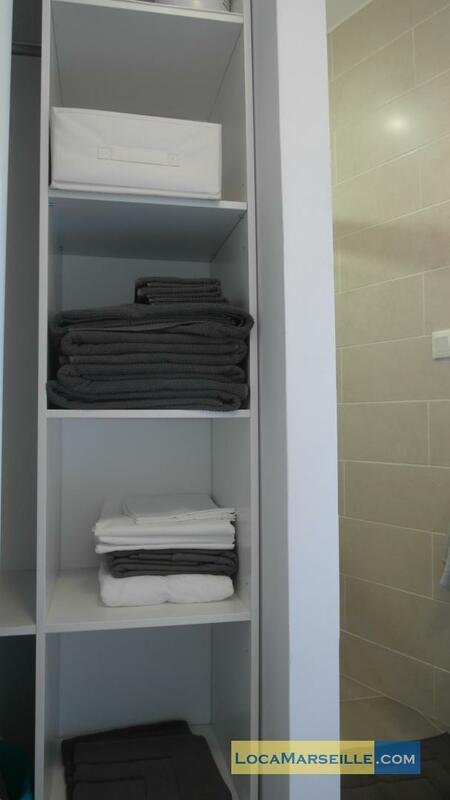 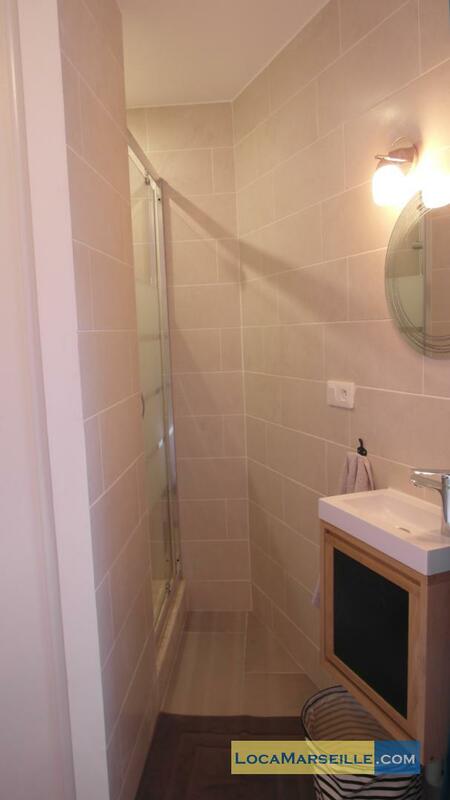 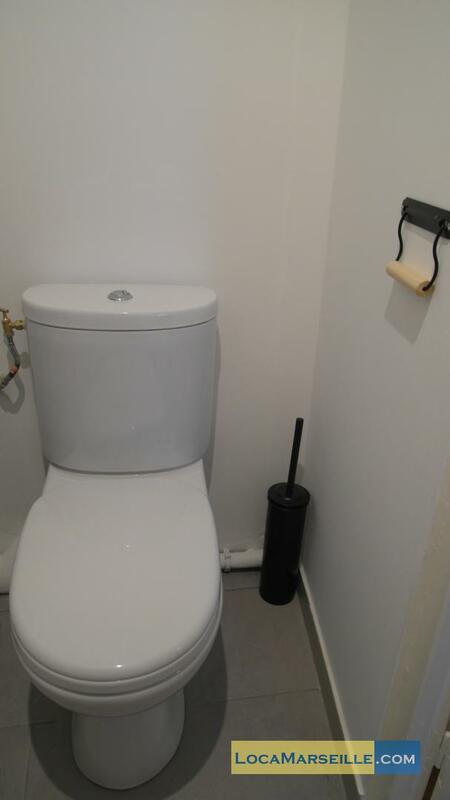 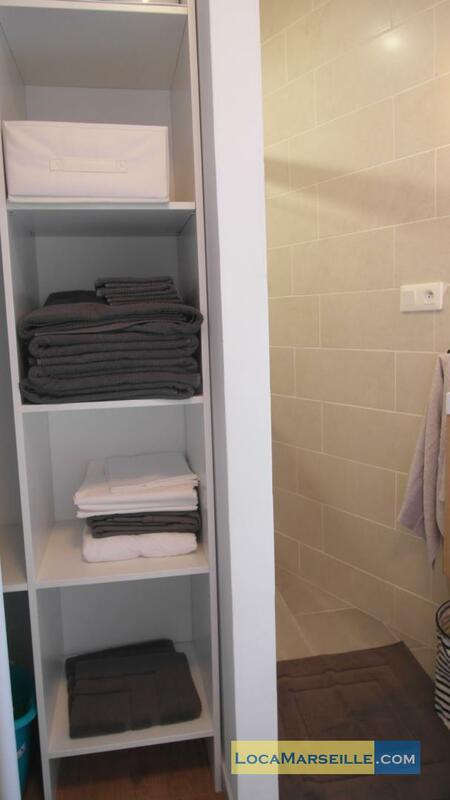 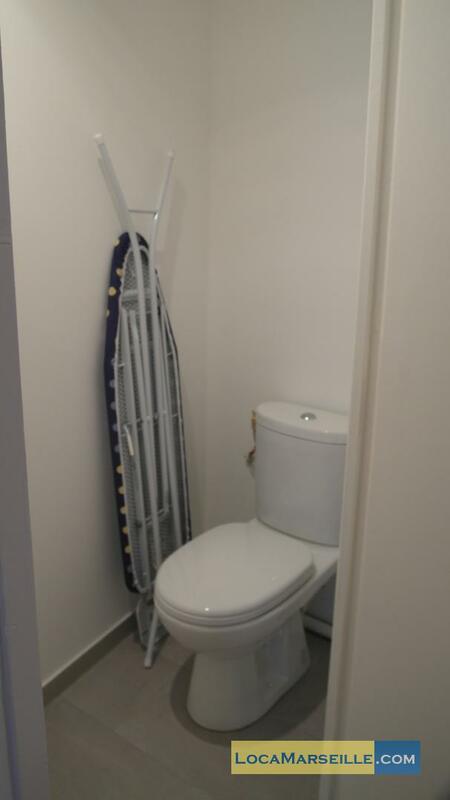 The shower-room space is separated and equipped with a closet. 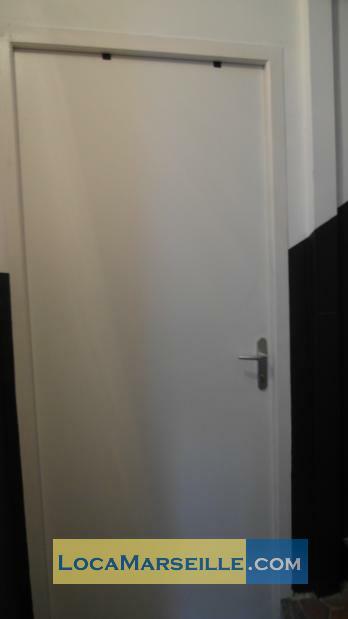 The apartment is completely floored making it very warm. 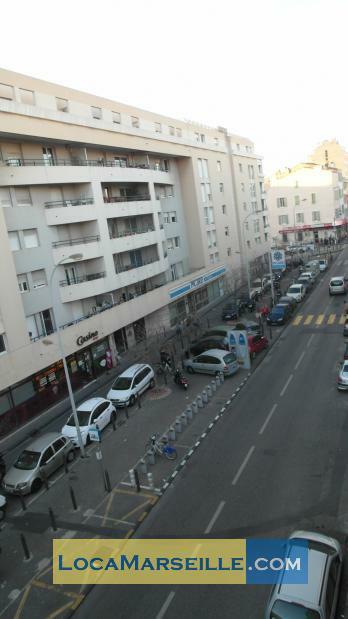 The area near the Boulevard Baille Castellane and on one side, and Notre Dame Du Mont of the other is pleasant and animated. 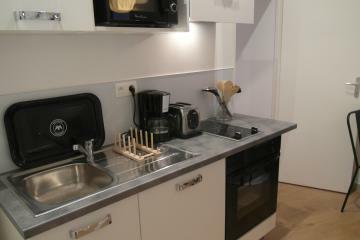 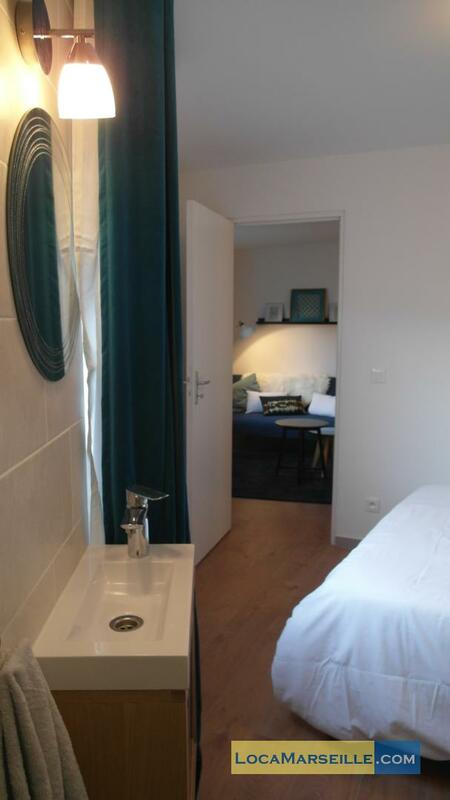 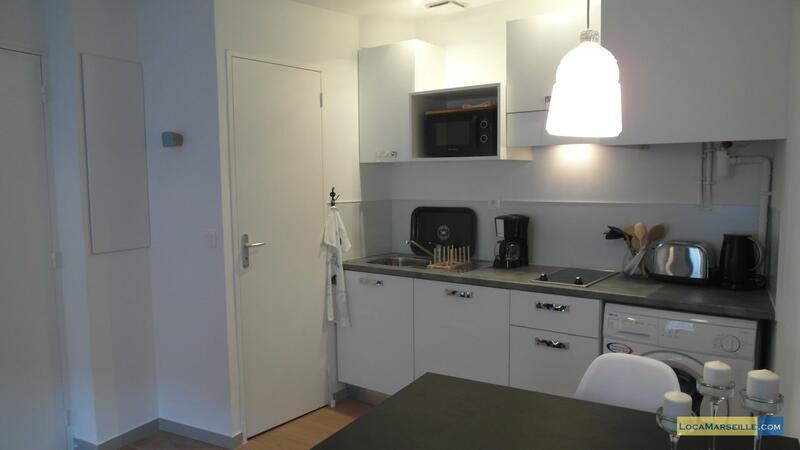 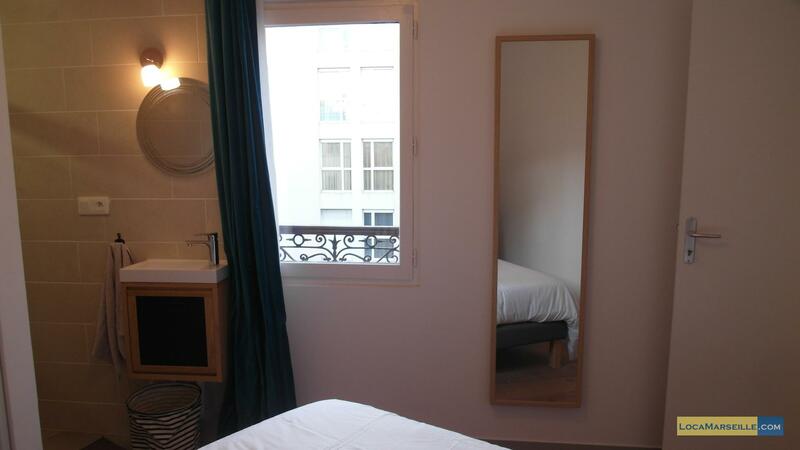 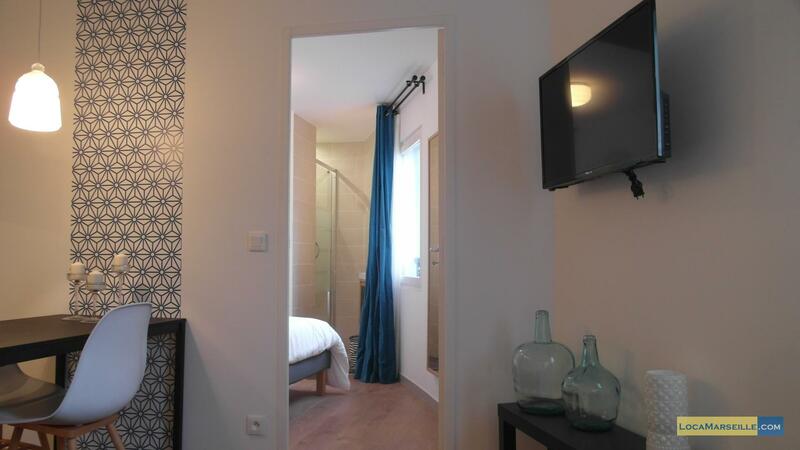 Guests can walk to the city center or take the metro or in Castellane, or Notre Dame Du Mont. 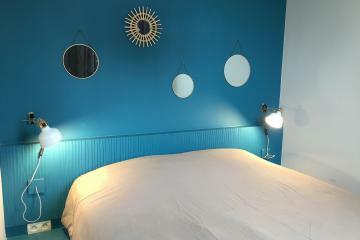 This location is a definite plus! 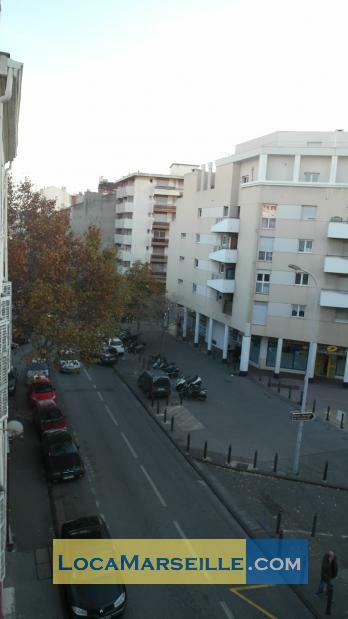 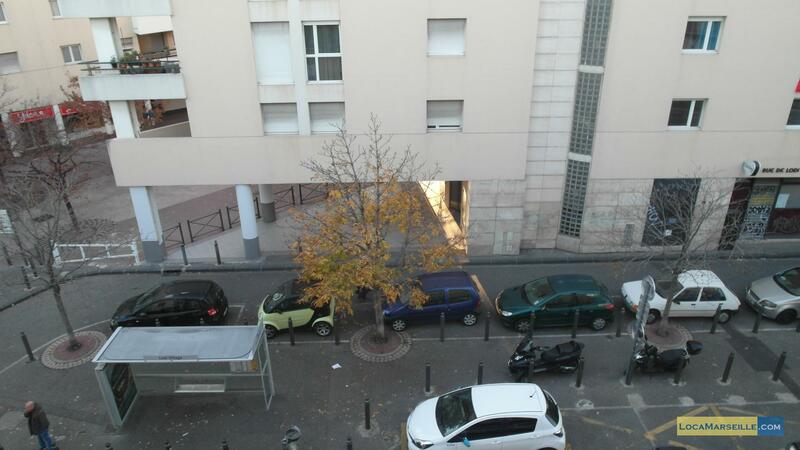 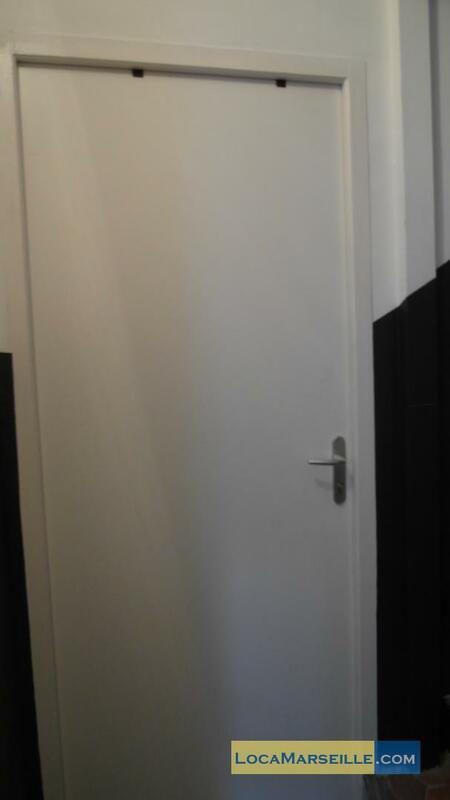 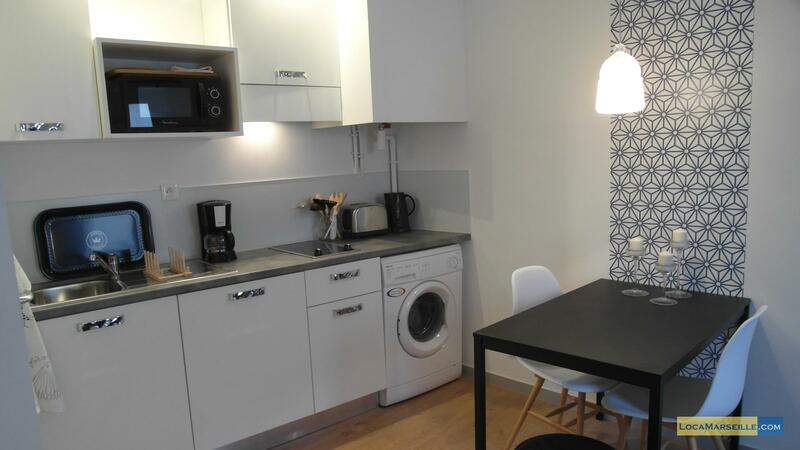 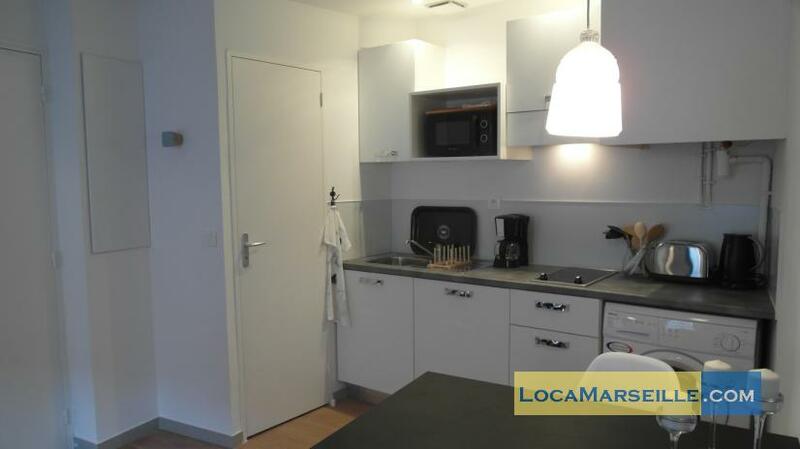 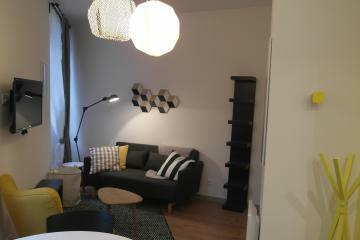 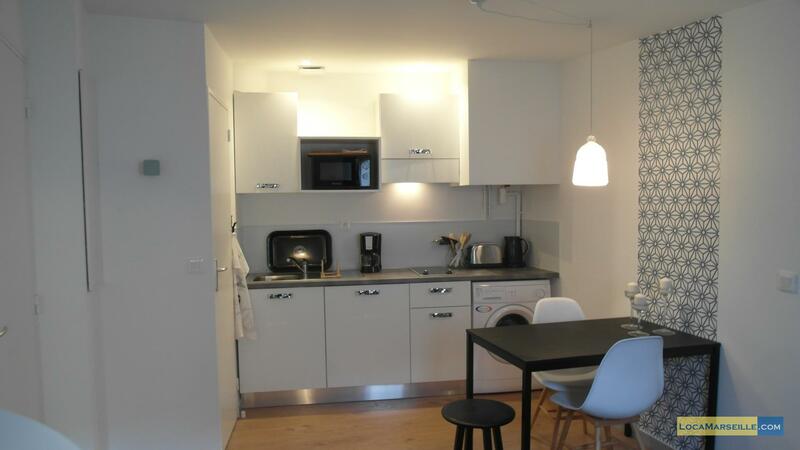 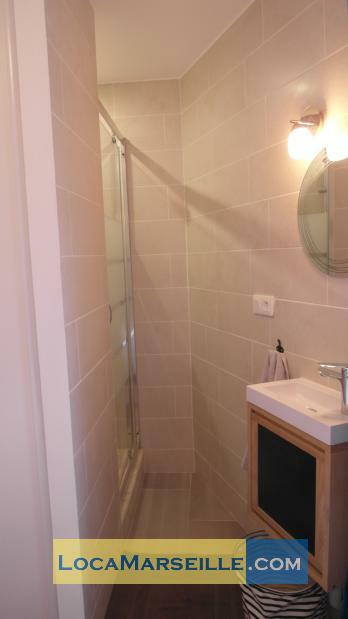 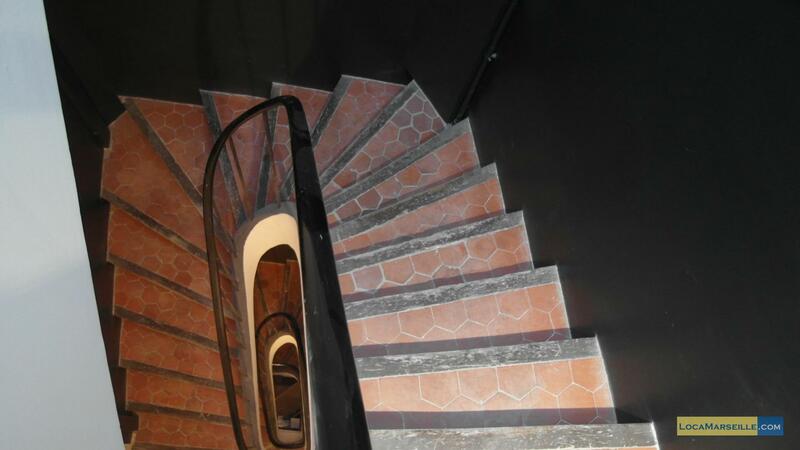 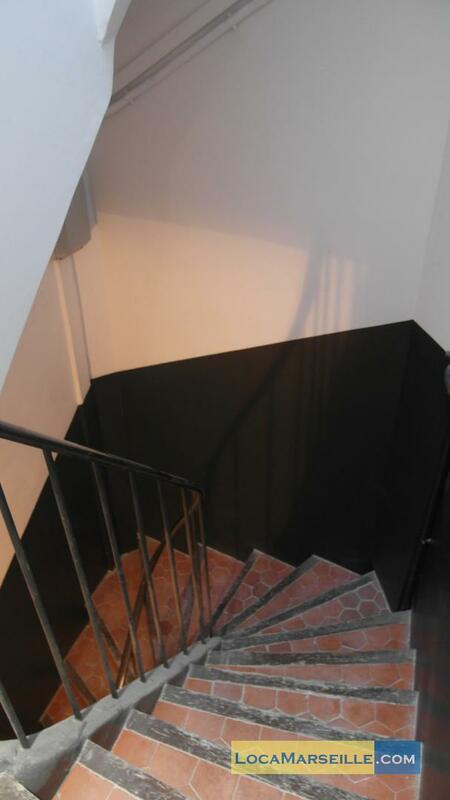 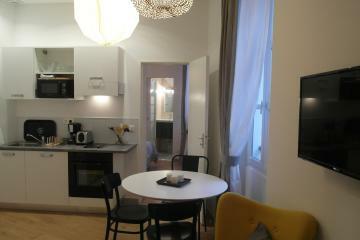 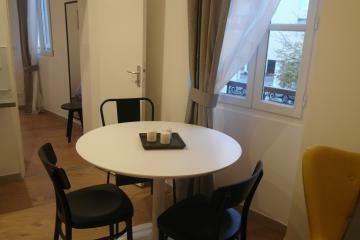 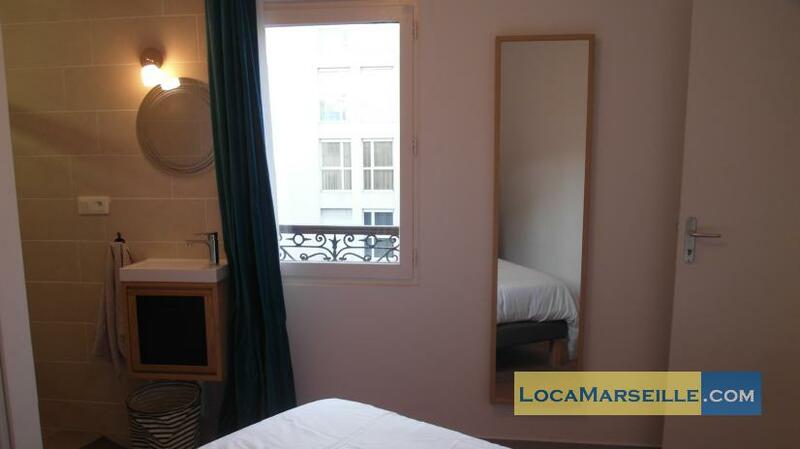 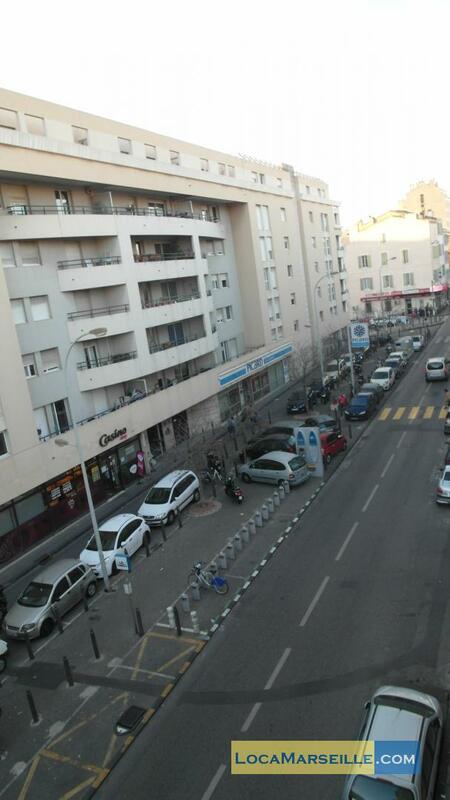 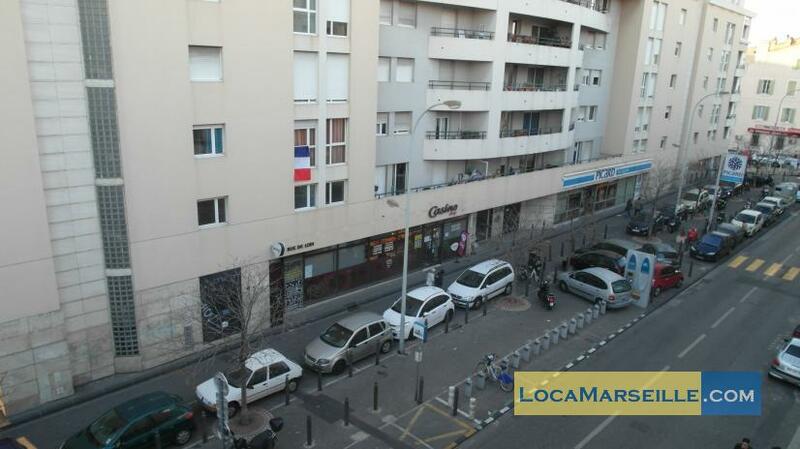 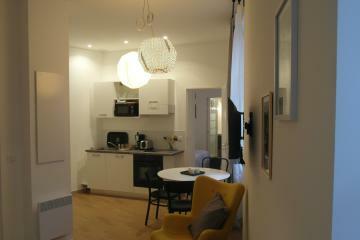 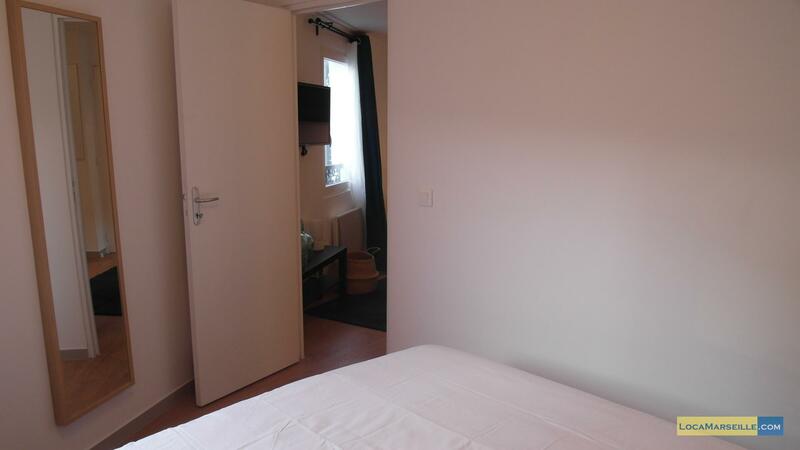 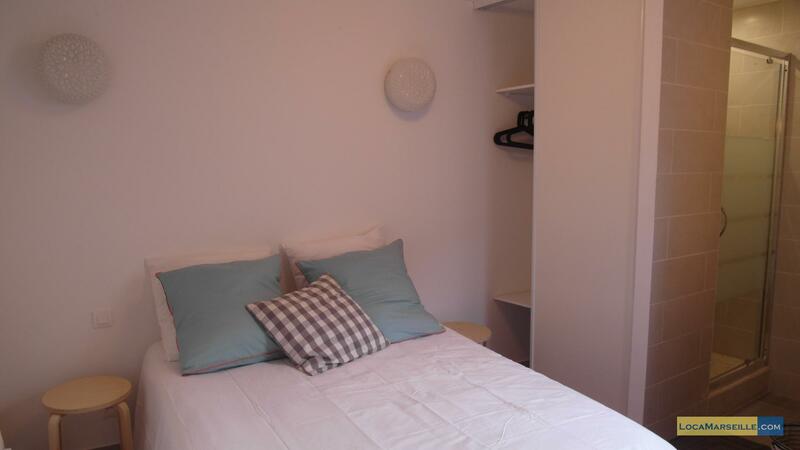 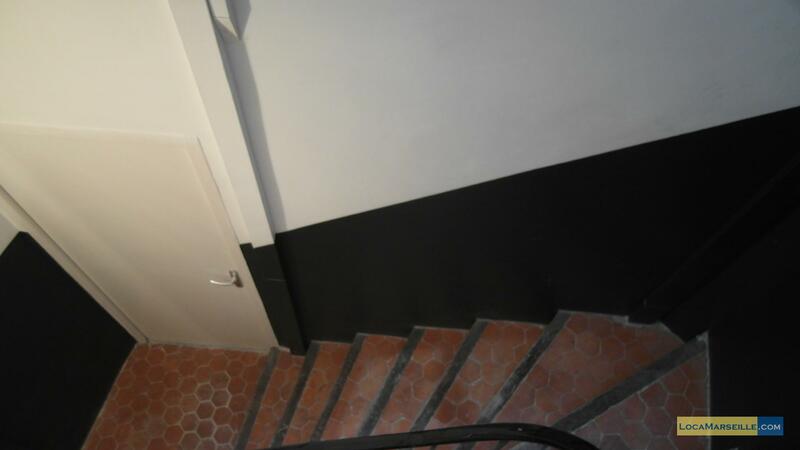 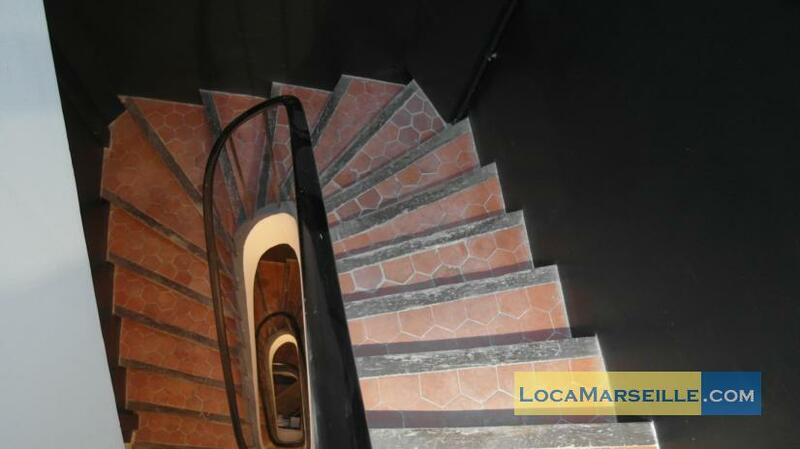 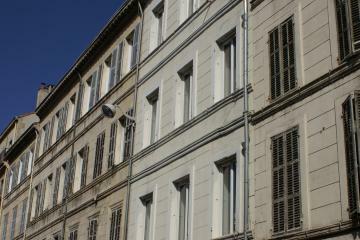 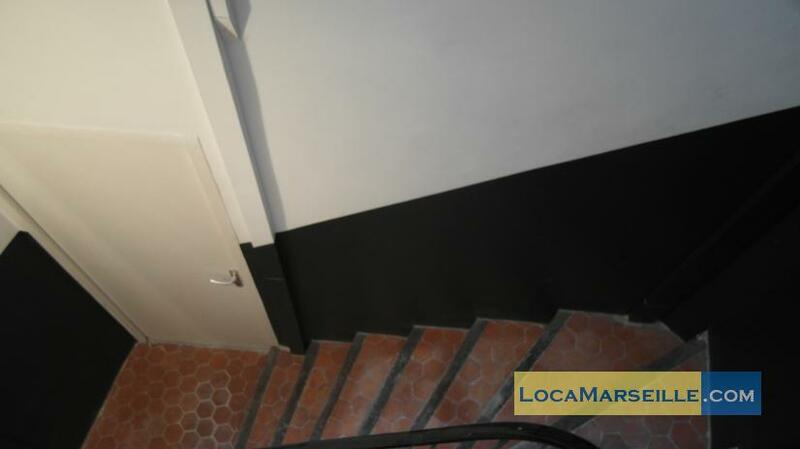 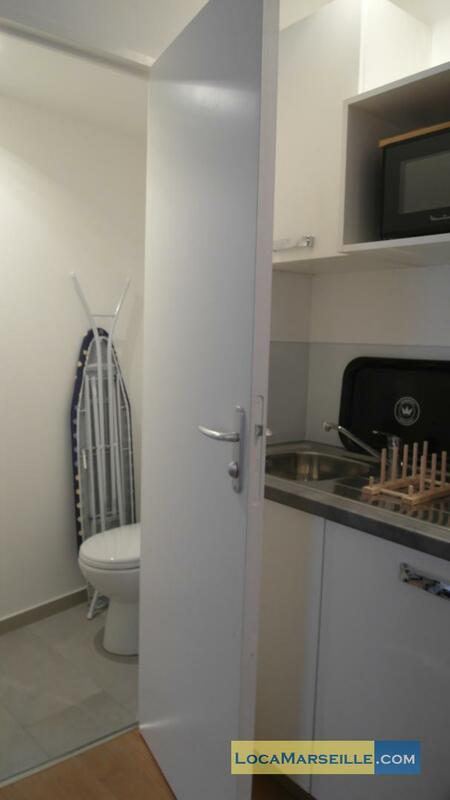 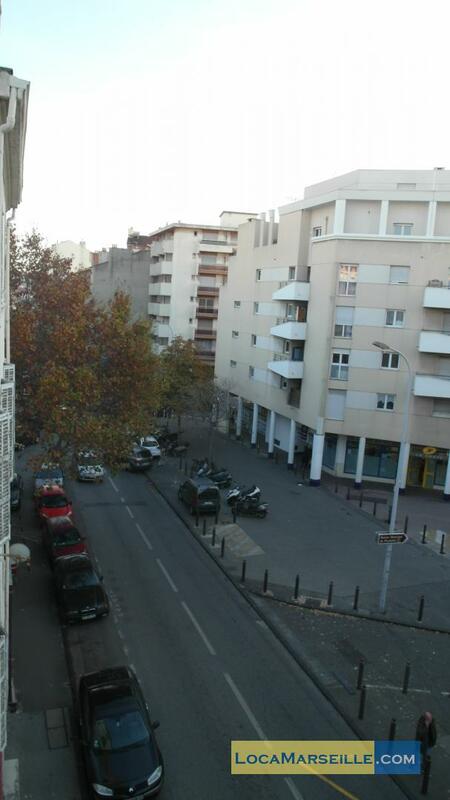 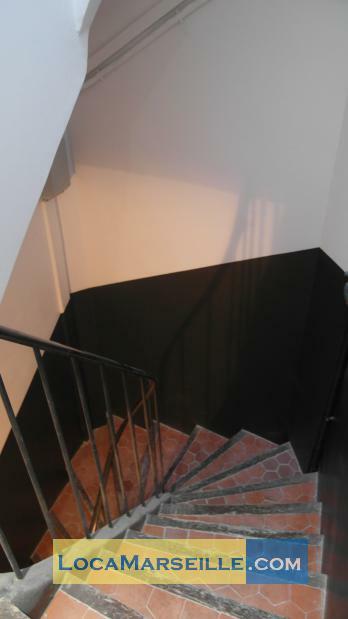 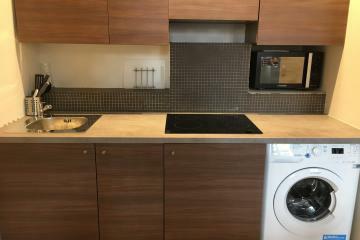 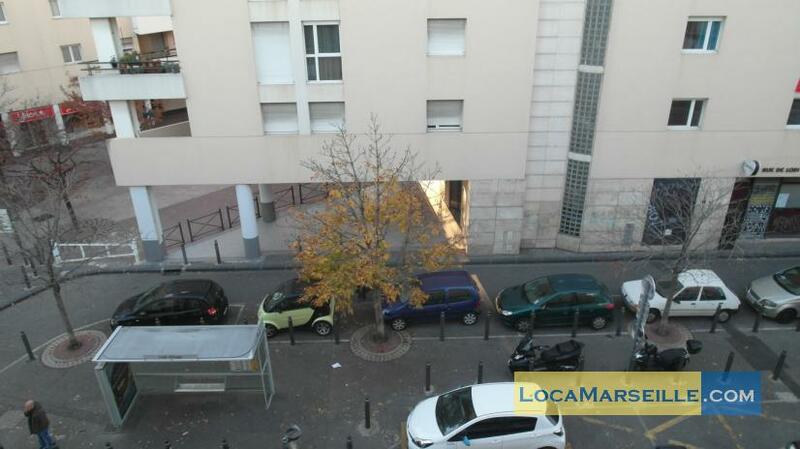 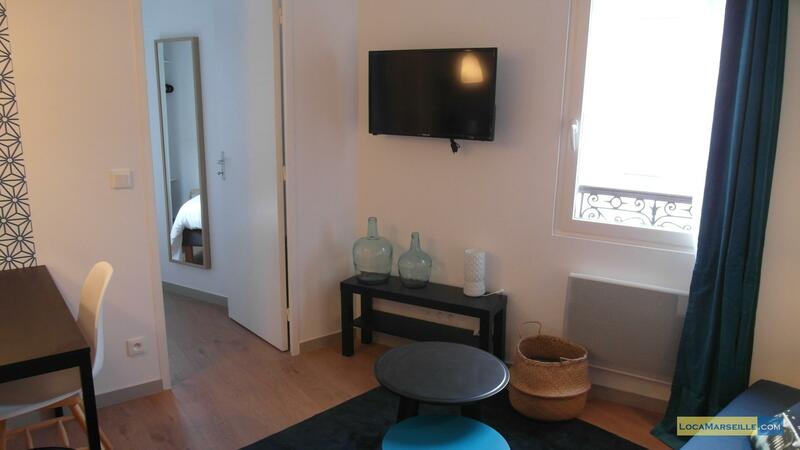 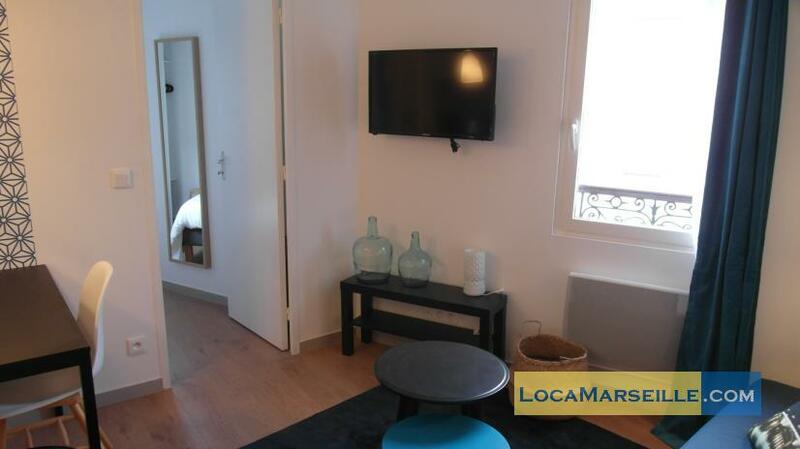 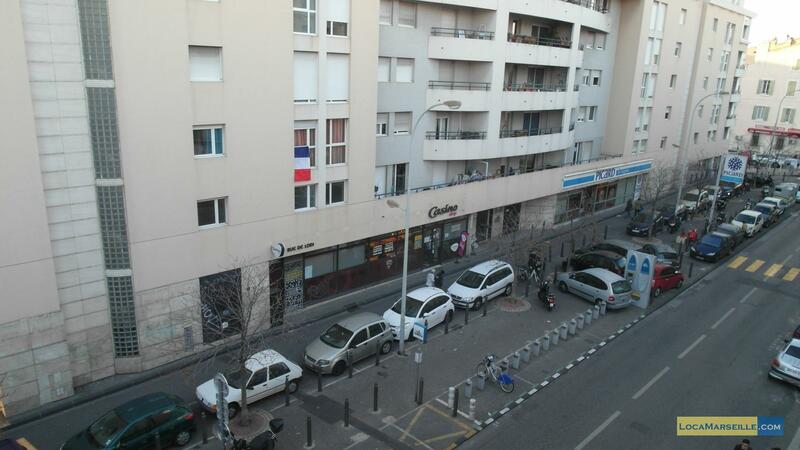 3 th floor, without Lift, entry code security system, 1 bedroom Appartement, furnished, Approx: 28m² / 301 Sq.Ft.